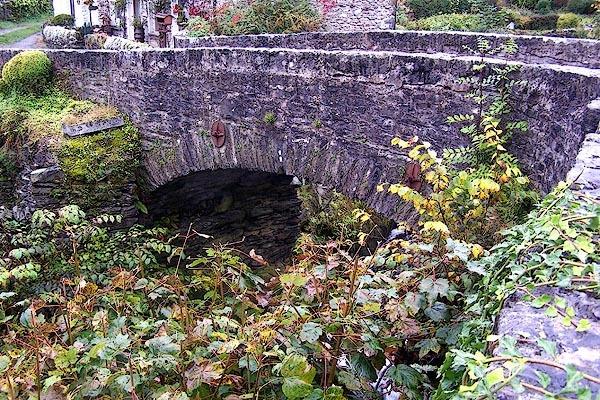 Bridge C18. Limestone rubble. Single arch carrying single track road over miniature natural gorge in limestone. Bridge over river Sprint. 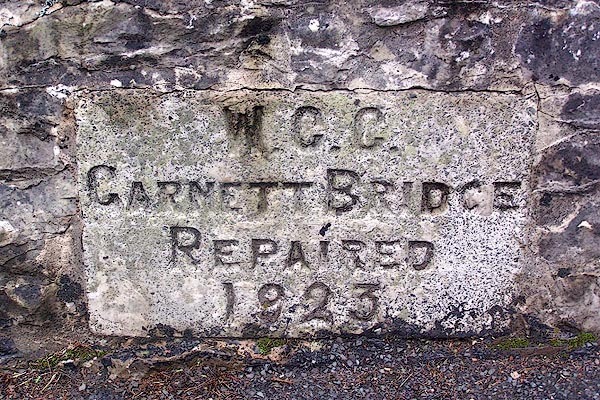 Probably C18, repaired 1923. Stone rubble with dressed coping. Segmental arch with thin voussoirs. Plain parapets, that to north has plaque to south side recording repair. Roadway is approx 3.5m wide. Part listed under Strickland Roger C.P.